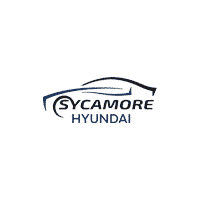 If your search for the right new or used car at the right price hasn’t turned up any perfect matches yet, then you owe it to yourself to visit Sycamore Hyundai and see what we have in store. At our conveniently located Illinois dealership, we’re attuned to our customers’ various needs. That’s why we stock a fantastic selection of all the new Hyundai models you love as well as a diverse inventory of high-quality pre-owned vehicles from many other brands. There’s something here for you no matter what type of vehicle you’re looking for – new or used, value-priced or luxury-leaning. Among our new Hyundai models, you can check out the popular Accent and Elantra, with their supreme sensibility and impressive list of offerings. You can browse popular Hyundai crossovers including the Santa Fe, the Tucson, and the Kona. You can even see the fantastically efficient Ioniq Hybrid in action. Find your favorites and take them for a spin – we think Hyundai will win you over. For our used car shoppers, we’ve got a whole host of cars, trucks, vans, and SUVs to choose from. While our inventory is in constant motion as lucky shoppers claim their bargains, you’ll find a great variety of high-quality used cars here no matter when you visit. Search among some of the most sought-after models of popular brands like Honda, Nissan, Dodge, Ford, and many others and get ready for some incredible deals. It’s great to have options, but price is equally important for most car shoppers. At Sycamore Hyundai, we make sure to price our vehicles low from the start. That way, all the savings we offer in addition to those attractive sticker prices make our deals just that much more enticing. You’ll find irresistible savings on both new and used vehicles. They come from many different sources – factory incentives, featured vehicle discounts, special loan offers, low-interest finance plans – and all aim to get you the lowest price and monthly payments available. No matter when you shop or what type of vehicle you choose to buy or lease from at Sycamore Hyundai, you’ll be happy with the remarkable savings opportunities we have here every day. If you’ve ever had a less-than-stellar experience at a car dealership, then you know how important good customer service is to your whole car buying journey. At Sycamore Hyundai, you’ll be treated like the valued customer you are from the moment you step through our dealership doors until you drive home behind the wheel of your new or used vehicle. And even after, when you visit our top-notch service center for routine maintenance at budget-friendly prices. We aren’t just here to sell you a vehicle but to sell you the right vehicle at the right price. Your satisfaction matters to us, and we’ll do everything we can to ensure that when you leave our dealership, you’re going to be a Sycamore Hyundai customer for life. Visit us today and let’s get started!